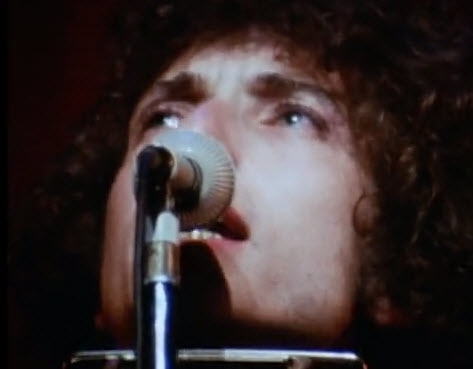 New York, NY - When Bob Dylan released "Like A Rolling Stone" in 1965 ­ forever shattering all pre-conceived notions for what a pop single could be in terms of length, sound and subject matter - no official music video was ever created to accompany his release. But nearly a half-century later, a groundbreaking interactive project has been created for the song, allowing fans to experience the classic recording in unprecedented ways. Today, the Bob Dylan ­ "Like a Rolling Stone" Interactive Video is unveiled worldwide on www.BobDylan.com<http://www.BobDylan.com>, coinciding with The Complete Album Collection Volume 1, just released on Columbia/Legacy Recordings. The Bob Dylan ­ "Like a Rolling Stone" Interactive Video showcases a patented technology platform, created by the digital media company Interlude, which allows viewers to play an active role in the story of the music video. The experience begins when users press play and have the ability to surf 16 different "TV channels" within the video in real-time. These channels are comprised of American TV formats in which, no matter what channel you are on, the hosts and actors are all lip-syncing the lyrics to "Like a Rolling Stone" as the song continues to play seamlessly. No two people will engage with the video in the same way twice. The full interactive video can also be experienced on iPhones and iPads and is easily shared across social media platforms. 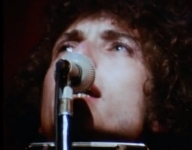 A number of recognizable TV shows and talent can be spotted throughout the video, and savvy viewers will no doubt make connections between some of these appearances and the song¹s lyrics, as well as to certain moments from throughout Bob Dylan¹s 50-plus years as a worldwide cultural figure. "We're forever looking for compelling, creative ways to distinguish our artists and their music from the din. The Interlude treatment of ŒLike a Rolling Stone¹ provides us with a unique, playful, highly engaging platform from which we can reach - and ideally attract - Dylan fans from across the spectrum, " said Adam Block, President of Sony Music/Legacy Recordings. "As a musician myself, I can¹t imagine a more thrilling project to be a part of than helping create the first video for ŒLike a Rolling Stone,¹" said Yoni Bloch, founder and CEO of Interlude. "The song has repeatedly been voted the No. 1 Greatest Song of All Time by Rolling Stone, and is generally regarded as revolutionary, influencing both artists and popular music around the world. Like the song, we hope Interlude will inspire creative professionals everywhere to develop new and unique ways to tell stories through video. " With its cutting-edge interactive video technology, Interlude (repeat winner of Most Innovative Video at the MTV O Music Awards) partnered with award-winning content creator Pulse Films (LCD Soundsystem¹s "Shut Up and Play the Hits" and Blur¹s "No Distance Left to Run") and Walter Pictures (Best Music Video Award winner by Time Magazine, Pitchfork, and MTV Woodie Awards) to make an extraordinary first official video for Dylan¹s seminal song. The video is being released in conjunction with The Complete Album Collection Volume 1, from Columbia/Legacy Recordings. This 47-CD boxed set contains 35 studio titles (including the first-ever North American release of 1973's Dylan album on CD); 6 live albums; the 2-CD Side Tracks, which compiles in one set previously released non-album singles, tracks from the original Biograph boxed-set and other compilations; a deluxe-bound hardcover book featuring new album-by-album liner notes from famed author Clinton Heylin and a new introduction by noted journalist and television personality Bill Flanagan. This project is also available as a limited-edition harmonica-shaped USB stick containing all the music, in both MP3 and FLAC lossless formats. The Bob Dylan Bootleg Series App was also just released, featuring over 500 pieces of rare and historical content. Interlude (interlude.fm<http://interlude.fm/>) is a digital media company that designs, develops and markets interactive video technology. Treehouse is Interlude¹s self-serve authoring suite that enables all video creators, whether enthusiasts or professionals, to create interactive videos. Founded by Israeli musician Yoni Bloch and his band, Interlude is backed by Sequoia Capital, Intel Capital, NEA, Marker and Innovation Endeavors.